Phil currently serves on the editorial board of the scholarly journal Biological Conservation and as president of the International Society for Environmental Ethics. He is a former ranger naturalist with the National Park Service, and has authored a book on the iconic 19th-cenutury American naturalist and transcendentalist Henry David Thoreau entitled Thoreau’s Living Ethics: Walden and the Pursuit of Virtue. He has also co-edited (with Eileen Crist) an anthology called Life on the Brink: Environmentalists Confront Overpopulation, to which I contributed a chapter. 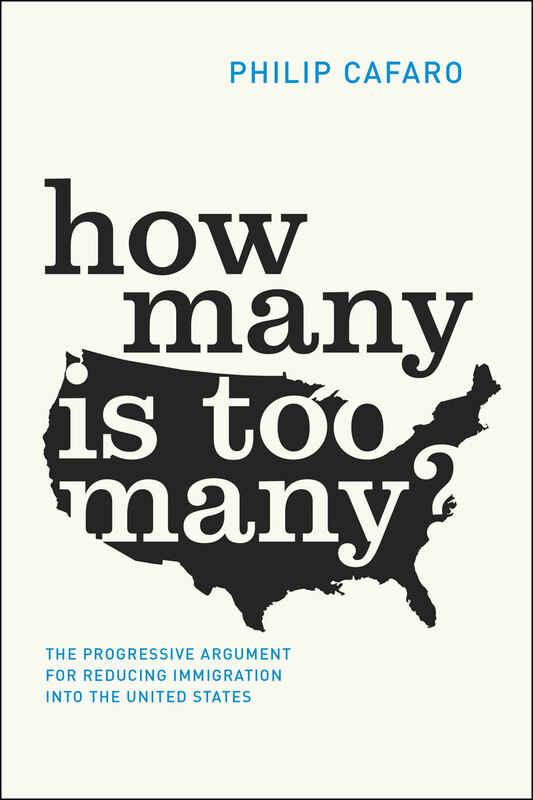 Now the University of Chicago Press has just published Phil’s newest book: How Many Is Too Many? The Progressive Argument for Reducing Immigration Into the United States. The smears are as colorful as they are despicable, deranged and predictable. But they’re enough to scare the squeamish, risk-averse Environmental Establishment from giving brilliant and brave thinkers like Phil their due. I recently wrote of Phil and NumbersUSA founder Roy Beck being banished from an environmental conference on the Chesapeake Bay because of their thoughtcrimes on excessive immigration rates. These days, and for some years past, the well-connected, complacent and pudgy Environmental Establishment – epitomized by California’s own home-grown Sierra Club – has been more interested in being politically correct than environmentally correct. Rabid open-borders believers and the far left claim cynically that the group Progressives for Immigration Reform, on whose board of directors Phil once sat (and on whose advisory board I still sit), is little more than a thinly disguised attempt by xenophobes and nativists to infiltrate their ranks and peel away gullible sheep from the flock. 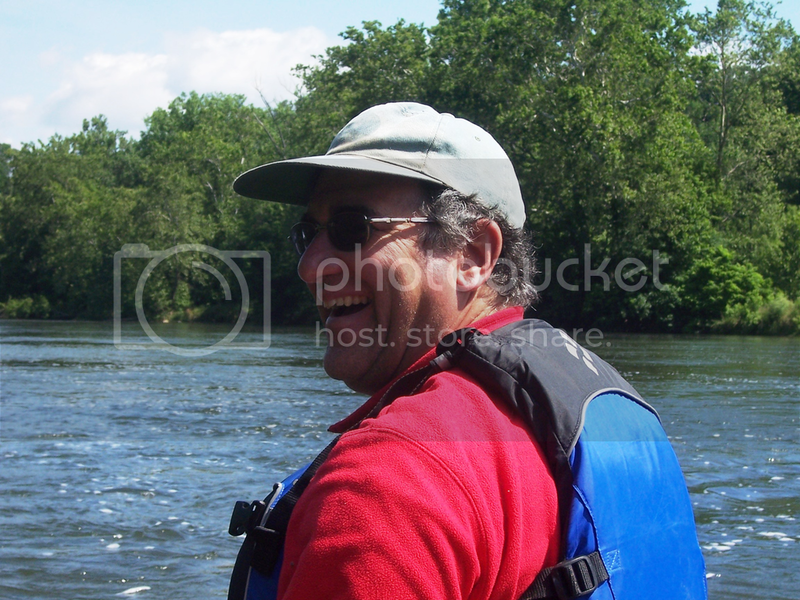 Shenandoah River in Virginia, 2012. I value economic security for workers and their families, and support a much more equal distribution of wealth, strong and well-enforced environmental-protection laws, and an end to racial discrimination in the United States. He did not say that he values the right of the filthy rich – the billionaires for open borders club – to continue lining their bulging pockets at the expense of America’s beleaguered workforce. And the champions Phil admires most include the likes of Theodore, Franklin and Eleanor Roosevelt, Rachel Carson and Martin Luther King, Jr. Note to the monitors who sniff through my own writings for every whiff of a transgression (you know who you are): Phil did not say his heroes are Ayn Rand, William F. Buckley, Jr., Barry Goldwater, George Wallace and Ronald Reagan. I also want to reduce immigration into the United States. If this combination strikes you as odd, you aren’t alone. Friends, political allies – even my mother the social worker – shake their heads (or worse) when I bring up the subject. I’ve been called a “nativist” and a “racist” (thankfully not by Mom), been picketed on my own campus, and had close academic friendships strained. Fortunately for the rest of us, while Phil is an amiable bear of a guy, he also has thick skin like a bear, so he doesn’t let these slings and arrows and mud keep him from using his sharp mind as well as his big heart. And this is what his sharp mind tells us. We should acknowledge that immigration policy involves all-too-real trade-offs – economic, environmental and social. While we should not exaggerate these conflicts, nor should we ignore them. Cheaper prices for new houses versus good wages for construction workers. Faster economic growth and growing economic inequality versus slower growth and a more egalitarian society. Increasing ethnic diversity in America versus stabilizing our population. Accommodating more people versus preserving wildlife habitat and productive farmlands. Creating more opportunities for foreigners to work in the United States versus pressuring foreign elites to share wealth and opportunities with their fellow citizens in their own countries. In recent decades, mass immigration has helped undermine the wages and bargaining power of America’s working class, broken the backs of unions, and contributed to long-term unemployment and under-employment, especially among African Americans and Latinos. Our era of gross economic inequality, stagnating wages, and persistently high unemployment among less-educated workers would seem like a terrible time to expand immigration. Yet the immigration-reform bill passed by a Democratic Senate in 2013 would have nearly doubled legal immigration levels. Phil relates how his own personal history as an environmental activist over several decades at the local and state levels – opposing sprawl, dams, water pollution, ski area expansion and so forth – led him again and again to the conclusion that rampant and rapid population growth was invariably driving the demand for these destructive developments. In How Many Is Too Many? Phil clearly explains the various demographic factors to readers. Analysis of these leads ineluctably to the logical necessity of reducing immigration rates if we are ever to stabilize U.S. population – and have a hope of ever saving our environment, preserving our quality of life, living sustainably on our piece of the planet, and reducing economic inequality and social tensions. These are all things progressives believe in and should be advocating for. Phil Cafaro is a gifted writer and thinker. He expresses himself in a manner that is both logical (befitting a professor of philosophy) and elegant, yet still an enjoyment to read. I hope at least some self-styled progressives will give this book a chance and approach it with an open mind – which, after all, is also a virtue they say they believe in.